A 24-year-old man has died overnight after his motorcycle was hit by a car which police had been pursuing through Perth’s southern suburbs. 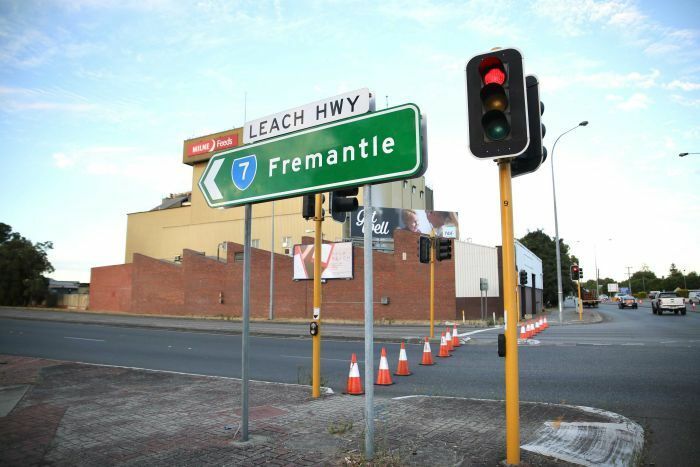 It is understood the wanted car crossed onto the wrong side of Leach Highway in Welshpool about 12:25am and knocked the man from his motorcycle, before crashing into a pole. Police arrived and spotted a 35-year-old woman alleged to have been driving the car running from the scene. She was arrested in nearby bushland after a short foot chase. It was then that police saw the motorcyclist had been involved in the crash, and two officers tried to resuscitate him until an ambulance arrived. He was taken to Royal Perth Hospital but later died. The alleged driver is yet to be charged and remains under police guard in hospital with injuries which are not believed to be serious. It was later discovered there was an active warrant for her arrest, and the silver sedan she was alleged to have been driving had stolen number plates. Police first attempted to stop the car in Seville Grove about 11:45pm and aborted the pursuit at least six times. It is not yet clear if police were actively pursuing the car when the crash occurred. Police Commissioner Chris Dawson said Major Crash investigators and police Internal Affairs officers were investigating both the crash and the attempts to stop the car. 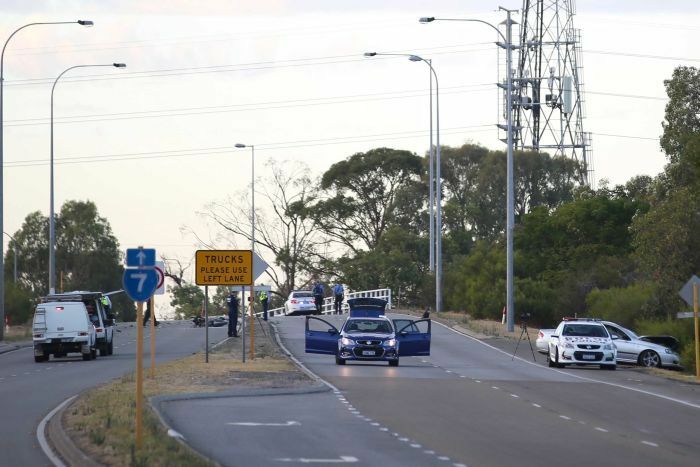 “What we are doing is calling for any witnesses, any information, if you may have seen a pursuit in and around Leach Highway,” he said. Commissioner Dawson also expressed his condolences and sympathy to the family of the deceased man. “Any loss of life is an absolute tragedy,” he said. Leach Highway was closed in both directions from Welshpool Road to Albany Highway for several hours in the wake of the accident. A large police presence remained at the scene this morning, stretching more than 20 metres across both lanes of the highway.